John Loughton will Provide After Dinner Entertainment at this year’s Housing Scotland Annual Conference! SFHA are delighted to announce that John Loughton of Dare2Lead will be providing the after dinner entertainment at this year’s Housing Scotland Annual Conference. John Loughton is a high profile and award winning global youth leader, a social entrepreneur and leadership speaker. He is Founder & CEO of global leadership company Dare2Lead. He has worked in over 30 countries across five continents, represented the UK internationally and engaged with numerous governments, businesses and world leaders. John has directly reached over 500,000 young people and was named Outstanding Youth of the World in 2013. This year’s Housing Scotland Annual Conference takes place on the 11 & 12 June at the Radisson Blu Hotel in Glasgow city centre. The conference will focus on the Sector in 2040, Redesigning our Public Services, When Governance Goes Right, Rapid Rehousing, The Impact of Neighbourhood on Health and many more key topics relevant to the sector. View the full programme by clicking here. Early bird residential rates start at £570 for SFHA members or why not come for the day for prices from £280 (SFHA members)? If your organisations books three day delegates, you can bring a fourth delegate for the day for free! 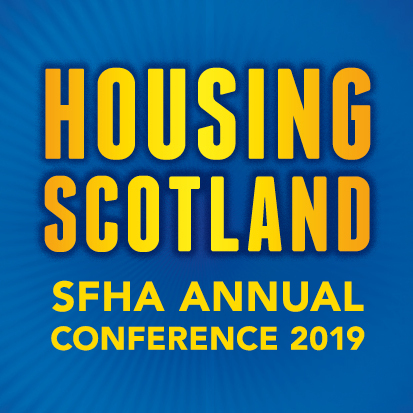 For more information or to book your place using our new SFHA events booking system via the events website, please click here.